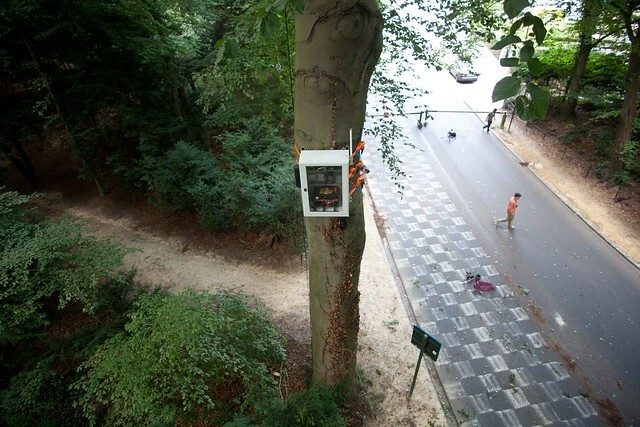 A 100 year old tree, living on the edge of Brussels, was hooked up to a fine dust meter, ozone meter, light meter, weatherstation, webcam and microphone. This equipment constantly measures the tree’s living circumstances. And translates this information into human language. Then, the tree lets the world know how he feels. Follow the life of the talking tree via Twitter, Flickr, Soundcloud and friend him on Facebook.